Israel’s Ministerial Committee for Legislation is set to discuss a bill ruling for sentencing Palestinian anti-occupation attackers to death. 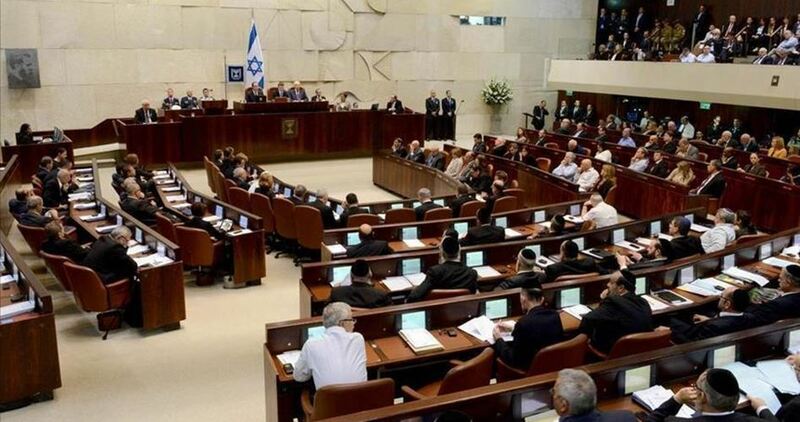 The bill was forwarded to the Knesset in 2015 and received only the approbation of Israel Beytenou political party. The other parties along with Prime Minister Benjamin Netanyahu rejected the bill. Following the anti-occupation stabbing attack carried out in July in Halamish settlement, built on Palestinian lands northwest of Ramallah, Israel Beytenou forwarded the bill once again. The proposed bill was passed on to the Legislation Committee so as to garner votes in favor of the move by next week. The bill gives a green light to the execution of a Palestinian attacker from the occupied West Bank following instructions from the Israeli war minister. 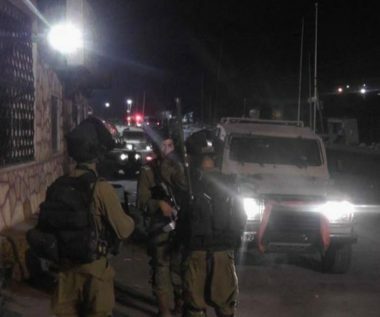 Israeli soldiers invaded, Tuesday, the al-Khader town, south of the northern West Bank city of Bethlehem, and abducted two children. Mohammad Salah, the coordinator of the Popular Committee against the Annexation Wall and Colonies in al-Khader, said dozens of soldiers invaded the Old City, especially around the schools’ area, and fired many gas bombs and concussion grenades. 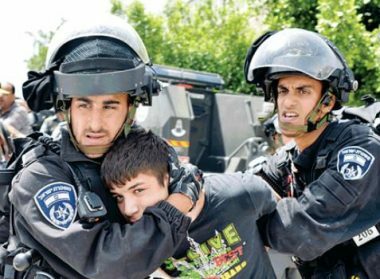 The soldiers also abducted two children, identified as Ali Mohammad Issa, 13, and Ramzi Ayman Sobeh, 13, near their homes. 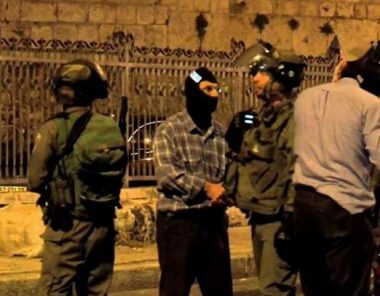 Israeli Occupation Forces (IOF) arrested at dawn Tuesday 23 Palestinians from different West Bank cities and towns as well as Occupied Jerusalem. Meanwhile, ten thousand shekels were seized from a Palestinian home in al-Khalil. In Nablus, three young men, including an ex-detainee, were arrested in Balata refugee camp and Kefr Qellil town, southeast the city, after storming and wreaking havoc in their homes. The IOF incursion into Nablus coincided with choppers hovering intensively in the sky of the eastern outskirts of the city. In Jenin, IOF soldiers arrested three citizens in Jaba town in the south. Meanwhile, Israeli troops who were deployed in the town's streets set up military barriers at the entrance. In Ramallah, IOF soldiers rounded up a youth from Kober town, north of the city, in addition to another two men from Silwad town to the east. Whereas in al-Khalil, ten thousand shekels were seized from one of the Palestinian homes in Beit Ummar town. The IOF claimed that a Carlo rifle was confiscated from a house whose location was not identified. Besides, Israeli police in Occupied Jerusalem arrested two Palestinians from Qalandiya and Shufat refugee camps in addition to a third man from Hazma town to the east of the city. Israeli soldiers shot and injured, Tuesday, a Palestinian man, driving his car, northeast of the central West Bank city of Ramallah, and a woman, who was walking nearby, after the driver allegedly attempted to ram them with his car. The Israeli military claimed that the Palestinian driver deliberately targeted the soldiers, and attempted to ram them with his car, before they shot him, and inflicted moderate-to-severe wounds. The man has been identified as Mohammad Abdullah Mousa, 29, from Deir Ballout town, near Salfit, in northwestern West Bank. The name of the wounded woman was not available at the time of this report. The incident took place near the entrance of Neve Tzuf colony, which was illegally built on Palestinian lands near Nabi Saleh town. Eyewitnesses said that the soldiers fired many live rounds towards the car, four directly hitting it, including at least one that injured the driver. They added that the Israeli fire also injured one Palestinian woman, who was walking near the targeted car, before local medics rushed her to a hospital in Ramallah. Israeli soldiers abducted, overnight until dawn hours, Tuesday, eleven Palestinians, including a woman, in many parts of occupied East Jerusalem, and took them to several detention and interrogation centers in the city. 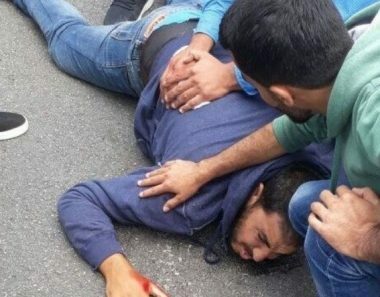 Dozens of soldiers, accompanied by many undercover officers, invaded Qalandia refugee camp, north of Jerusalem, abducted three young man, and shot three others with live fire. Local Red Crescent medics rushed the three wounded Palestinians to Palestine Medical Complex, in Ramallah. The soldiers also fired gas bombs, concussion grenades and rubber-coated steel bullets, at the local youngsters who hurled stones at them following the invasion. Many hours after the invasion, the soldiers broke into the homes of the three abducted Palestinians, and violently searched them. In addition, the soldiers invaded homes in the at-Tour neighborhood, overlooking the Old City, and abducted a woman, identified as Manal Abu Sneina, in addition to Rashid Resheq. The Palestinian Prisoner’s Society (PPS) has reported that many soldiers invaded al-‘Isawiya town, in the center of Jerusalem, and abducted Mahmoud Mousa Odeh, in addition to Husam Manasra, from Qalandia, Majed Khashan, from Shu’fat refugee camp, and Hussein Kahalaf, from Hizma town, northeast of Jerusalem, after breaking into their homes and searching them. Several Palestinian prisoners are continuing their hunger strikes for freedom as of Monday, 30 October. Hassan Shokeh, 29, of Bethlehem, has been on hunger strike for 20 days against his imprisonment without charge or trial under Israeli administrative detention. Shokeh was detained by occupation forces on 29 September, less than a month after he was released from his prior imprisonment on 31 August. He has spent several years in Israeli prison under administrative detention and on charges of membership in Islamic Jihad. Bilal Diab, 32, from Kafr Ra’i near Jenin, has been on hunger strike for 14 days against his own administrative detention without charge or trial. Jailed since 14 July, Diab has been repeatedly seized by the Israeli occupation. He conducted a 78-day hunger strike alongside fellow detainee Thaer Halahleh in 2012 to win his freedom. His strike was sparked after his appeal for his freedom was denied on 17 October; the next hearing in his case is scheduled on 30 November. 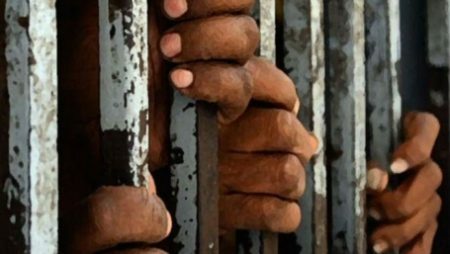 In addition, reports were released in the past day that a third prisoner has also been on hunger strike for 14 days, Hamza Marwan Bouzia, 27, of Kifl Hares near Salfit. A former prisoner who served over seven years in Israeli prisons, he has also been subject to re-arrest by occupation forces and ordered to administrative detention without charge or trial. Also joining the hunger strike is Mosab Said, 28, from Bir Zeit, on hunger strike demanding his return to Megiddo prison after he was transferred; he launched a hunger strike five days ago, after Israeli occupation authorities violated an agreement to transfer him. He has been detained since 12 March and is a journalist and media activist as well as a former prisoner. Palestinian lawyer Karim Ajwa warned about the deterioration of Diab’s health after a visit with the striking prisoner, held in isolation in Ashkelon prison. Diab is suffering from abdominal pain, joint pain and pain in his ear and head; he is refusing medical examinations by his jailers. He also told his lawyer that he was transferred on Sunday from one cell to another with worse conditions: a wet, torn mattress with one blanket, a constant fan on the door that blows despite the cold, and filthy conditions. He also noted that there are daily “inspections” in which guards repeatedly invade the cell in order to put more pressure on his strike. Ajwa confirmed that Diab is dedicated to continuing his hunger strike to win his freedom. 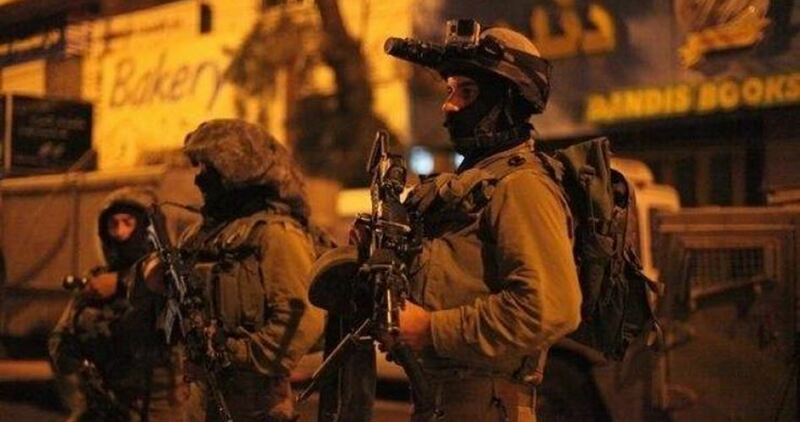 A group of undercover Israeli soldiers invaded, on Monday at night, Qalandia refugee camp, north of occupied East Jerusalem, abducted three young Palestinian men, while regular soldiers injured three others with rubber-coated steel bullets. Media sources in the refugee camp said the undercover officers infiltrated into it while driving cars with civilian plates, abducted the three young men, and withdrew towards nearby Qalandia terminal. Regular army units were heavily deployed at the main entrance of the camp to secure the withdrawal of the undercover officers by clashing with youngsters, and fired many rubber-coated steel bullets at them. Medical sources said three young men were shot with rubber-coated steel bullets; one in the head, and two others in their lower limbs.